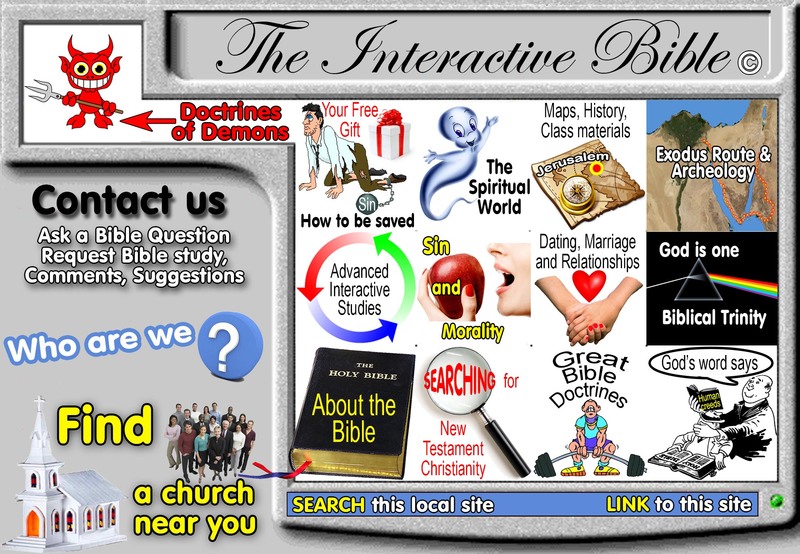 The Interactive Bible reviews theological arguments for their truth content. We have a very high standard for maintaining both that which is reasonable as well as that which it actually true. We openly recognize that many false arguments and interpretations have shades of truth, respectability and although false, may in fact be a logical option for what the text may be saying. In other words, false interpretations sometimes make sense until other Bible verses are cross referenced. These false views never get the STINC award, even though we view them as false teaching. However, there are a small percentage of truly wild, false interpretations who we award the STINC trophy to. The interpretation is an assault on common sense. The interpretation makes the cult members feel shame, when they are forced to teach it. The interpretation violates the natural reading of the text to such an extent, that it proves such cults listen to their "higher authorities" more than the Bible itself! We sincerely pray that these cults will open their eyes and reject their false doctrines! H. W. Armstrong in his attempt to have Jesus rise from the dead on Saturday, rather than what the Bible teaches: Sunday Resurrection. Christadelphians for accusing Jesus on two distinct doctrinal issues of teaching, promoting and perpetuating pagan false doctrine regarding the state of the dead and demons. Rather than change their own doctrine for truth, they call Jesus a false teacher! Seventh Day-Adventists for accusing Jesus of teaching, promoting and perpetuating pagan false doctrine regarding the state of the dead.